Enter now for a chance to win one million miles and one of five 1,000 mile prizes. A Wyndham Rewards member number is required for entry. You can sign up for one on the sweepstakes site if you don’t already have one. The sweepstakes ends August 26, 2013 at 11:59:59PM ET. The rules are available on the sweepstakes site. 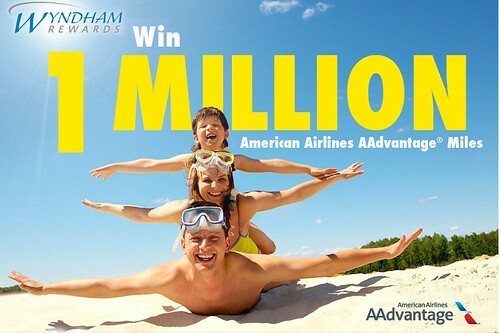 Visit www.wyndhamrewards.com/aamillion to enter. Wyndham is also sponsoring a Facebook sweepstake that offers the winner 1 million Wyndham Rewards points. Go here to enter. A hat tip to Rapid Travel Chai who also has the details on how you can enter to win one million miles from United, Southwest, and Delta.